Many histories of the New York Yankees only skim the early years in their rush to pick up with the 1919 season when Babe Ruth joined the team and go on to celebrate the careers of Lou Gehrig, Joe DiMaggio, Mickey Mantle, and Whitey Ford, and the team's World Series titles. But what about the Yankees before these big names? The early Yankees, who spent their first 12 years known as the Highlanders and were occasionally known as the Americans and the Invaders, get the attention they deserve in this work. 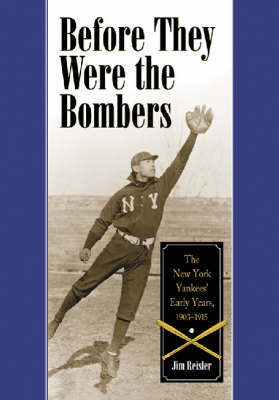 It tells the story up until the sale of the Yankees in December 1914, beginning with 1903 when the team was formed from the remnants of the Baltimore Orioles. Led by future Hall of Famers "Wee" Willie Keeler, Jack Chesbro, and Clark Griffith, they were the most expensive major league team ever assembled--but they are remembered primarily for their terrible failures, which included losing a club-low 103 games in 1908 and finishing 55 games out of first place in 1912. Yes, the Yankees.